Ahead of its release on Friday, take a look at three new clips from Paul Schrader's crime thriller. 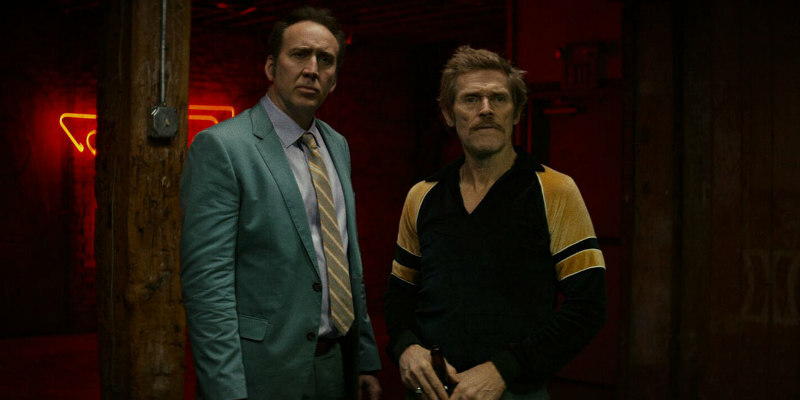 Directed by visionary filmmaker Paul Schrader (Taxi Driver, Raging Bull), Dog Eat Dog is the story of three ex-cons attempting to adapt themselves to civilian life following extended stints in jail. Life is tough, until they are offered a job by an eccentric mob boss (played by Schrader himself) with a payoff too rich to turn down, and enough dough to buy their way out of their criminal lives and start over. All they have to do is kidnap a baby, the child of a colleague who's ripping the mob boss off. With the ‘three strikes’ law for life sentences looming over each of them and in the midst of battling their own personal demons, the smart money would be on rejecting the offer… But what the hell, they're going to do it, and they're going to do it their way! Troy (Cage), an aloof mastermind, seeks an uncomplicated, clean life but cannot get away from his hatred for the system. Diesel (Christopher Matthew Cook) is on the mob's payroll and his interest in his suburban lifestyle is waning. The loose cannon of the trio, Mad Dog (Dafoe), is possessed by true demons within, which lead him from one precarious situation to the next. One more hit, one more jackpot, and they'll all be satisfied. But somehow the law keeps catching up with them wherever they go. Schrader and Matthew Wilder wrote the script based on Edward Bunker’s 1995 novel of the same name, who used his personal experiences of the criminal underworld as inspiration for the story and its troubled central characters.